We’ve waited along time for the launch of Cashmio Casino and the wait has paid off because sometimes perfection takes time. Cashmio is another new NetEnt Casino that just launched that has been highly anticipated. Owned and operated by MT Secure Trade Limited, Cashmio Casino boasts a total of 150 games from Gaming power houses Microgaming, NetEnt, ELK, Thunderkick, WMS Williams Interactive. Cashmio features a fun and innovative design, built in missions which allow you to win free spins and some of the quickest withdraw times in the industry as documented on our Fast Paying Casinos list. *New players at Cashmio Casino get 20 bonus spins NO DEPOSIT REQUIRED immediately after signing up. 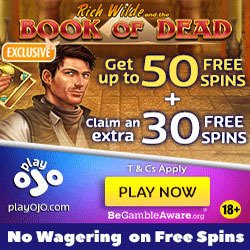 Just register an account and the No Deposit Free Spins will be instantly available. Players from the following countries are eligible for the 20 no deposit spins on Aloha! Cluster Pays: Austria, Finland, Netherlands, New Zealand, Norway, Malta, Switzerland. At Cashmio, you get a great welcome offer, so whether you’re balling on a budget or have a little more extra to spend, Cashmio Casino will make it worth your while. The minimum deposit for this offer is €20. UK Players at Cashmio Casino get 150 Bonus Spins on Starburst when you deposit a minimum of £20. The wagering requirements are 45x the bonus only. The following countries are resticted from playing at Cashmio: Pakistan, Syria, Nigeria, Singapore, Romania, Bulgaria, Portugal, USA, American Samoa, Guam, Marshall Islands, Northern Mariana Islands, Puerto Rico, Virgin Islands, France, Estonia, Belgium, Hong Kong, Spain, Italy, Ireland, South Africa, Germany, Denmark, Turkey, Afghanistan, Ethiopia, Iran, Iraq, Jordan, Kuwait, Philippines, Israel, India, and Yemen. When playing with bonus money, the max bet is €5. The max withdrawal amount from no deposit free spins winnings is capped at €/£100. Neteller, Skrill, Paysafecard, Visa, Fast Bank Transfers, Bank Transfers, Trustly, Euteller, InstaDebit, iDeal, POLi, P24, Sofort, EcoPayz, and Mastercard. E-wallets (Neteller, Skrill): 4 hours. Bank transfer withdrawals take between 1 to 3 working days.